There are many things we demand from films, good stories, strong characters, style… the list goes on. However, more than everything else, there is one thing people clamor for the most, particularly in its absence: originality. We readily point out clichés and stereotypes and are quick to lament the prevalence of the done-to-death scenarios that litter today’s multiplexes. This applies to most films, but there are some, particularly within the heart of the mid-level commercial field, that can sometimes get away with it. 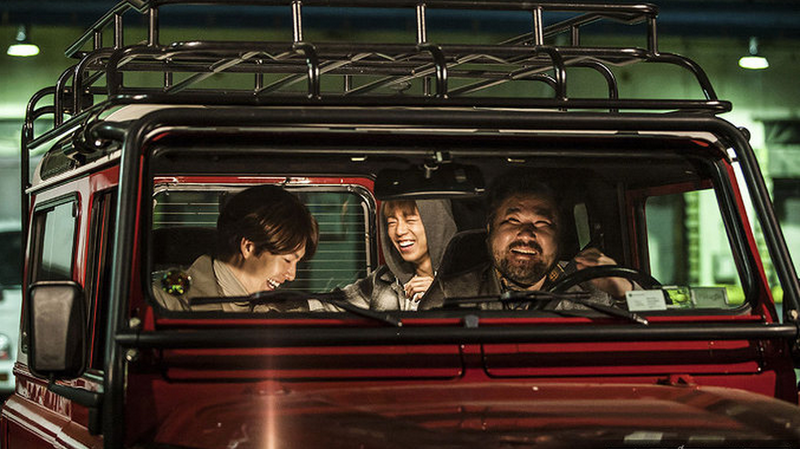 The Con Artists, released last month, is such a film. A safe-cracking whiz teams up with a veteran counterfeiter and a young hacker to pull off heists. They steal diamonds from President Jo but it’s not long before they’re caught. However, it just so happens that Jo has a special need for a top safecracker, so he uses the team to knock off the Korea Customs Center. A heist thriller (in an industry already full of them) with an unremarkable cast and director, you’d be forgiven for thinking, as I did, that this would turn out to be a no-frills, by-the-numbers effort. Of course you’d be right, as The Con Artists plays out exactly as you’d expect it to, down to the slightest plot points and character beats, all shot with a clean, straightforward style. Yet, despite its prosaic nature, the film is by and large entertaining. Attractive and legible, it’s an effective piece of genre entertainment precisely because it aims straight down the middle. Predictability and familiarity are assets that turn The Con Artists into an oddly comfortable experience. Director Kim Hong-sun debuted in 2012 with the dark organ dealing thriller Traffickers, a mid-level performer that earned him a Best New Director prize from the Blue Dragon Film Awards. The tone for his follow-up is brighter, as is its crisp mise-en-scene, though it features a far less pronounced directorial stamp. 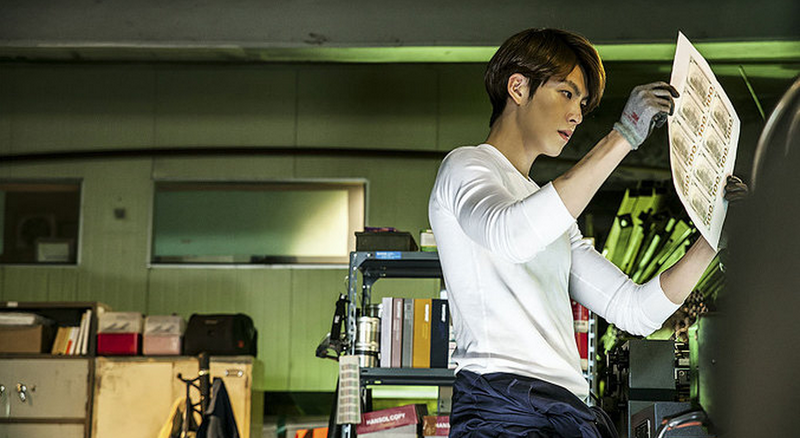 What Kim provides here are clean visuals and a clear storyline, allowing the film to fulfil its purpose as a star vehicle, primarily for Kim Woo-bin, but also Lee Hyun-woo. A very popular TV drama star who is omnipresent across Korea’s billboards, Kim Woo-bin takes on his second lead role, following Friend: The Great Legacy (2013). Though his former film was a hit in Korea, it was also the sequel to a much loved original. The success of The Con Artists lies squarely on his shoulders and given the film’s 2.6 million admissions, it seems safe to say that he has proven his box office clout. As for his performance, he’s an effective lead as the young criminal though beyond his cocky grin and confident gait, there isn’t much to his persona. Another very popular young TV star, and part of the Secretly Greatly (2013) crew, Lee Hyun-woo fits his role as another cocky young criminal well, but honestly you could replace him with any number of other fresh faced Korean stars and none would be the wiser. Though only a supporting player, the real talent here is the genial Go Chang-seok, who is always a delight to see on screen. Go serves as great comic relief but he’s also a charismatic anchor that keeps the proceedings in check. Without having the veteran supporting actor to lean on, the young stars might have struggled to hold the movie together. With solid set pieces, a number of decent gags and strong structure, The Con Artists remains entertaining throughout, never overstaying its welcome. Predictable and forgettable it may be, but with his sophomore effort, director Kim has proven more than capable of taking something very generic and turning it into a worthwhile product. For his part, Kim Woo-bin may have some growing to do as a performer, but there’s not doubt we’ll be seeing him for some time to come.